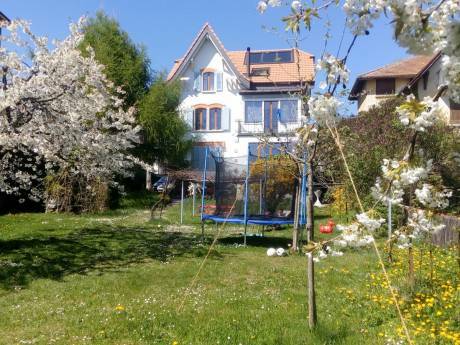 Nice villa in a rural valley with marvellous view on the Alpes, near the towns Neuchatel and the lake, Lausanne, Berne and only 16 km from the french boarder. 2 bedrooms for 3 persons. 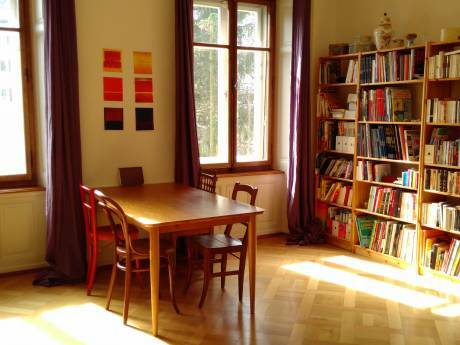 Big living-diningroom, full equiped kitchen, 2 bathrooms, wintergarden, terrace and outside garden. Good situation for visiting Switzerland (highway), sporting activities (lake, mountains, skiing). We are Gisele and Otto, in ours 60's. We are balanced parents and grandparants that love sailing, the outdoors and being retired.Otto is , Jazzmusicien and myself,artist painter. 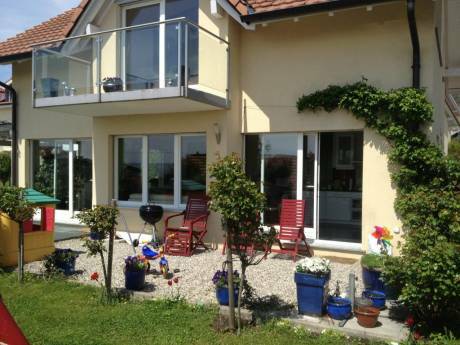 We are experienced homeexchangers and we make also Home-Sitting in France.I'm enjoy gardening and improving our home. Our house is very important for us and we like that guests take care of it like their proper home. We prefere a couple without children (or only one child) and without pets. Our cat goes in a animal home during our holidays. We like to make severals exchanges for 2 or 3 weeks in Europe. Nice neighbours, always helpfull, surrounded by green fields with horses and cows, quite and sunny. Next to shoppingscenters, pharmacy, banks, post office, (in the village). Highway for Neuchatel, Lausanne, Geneva, Zurich, Berne, France etc. at 5 min. far.